This post was originally published in Retro Magazine. Whether you are already in love with digital marketing, or you are still just “flirting with it”, you know that it is a dynamic, exciting and very wide area of expertise. Unfortunately, that is not the case. As someone who is straightforward in both talking and typing, I want to share with you the real story. 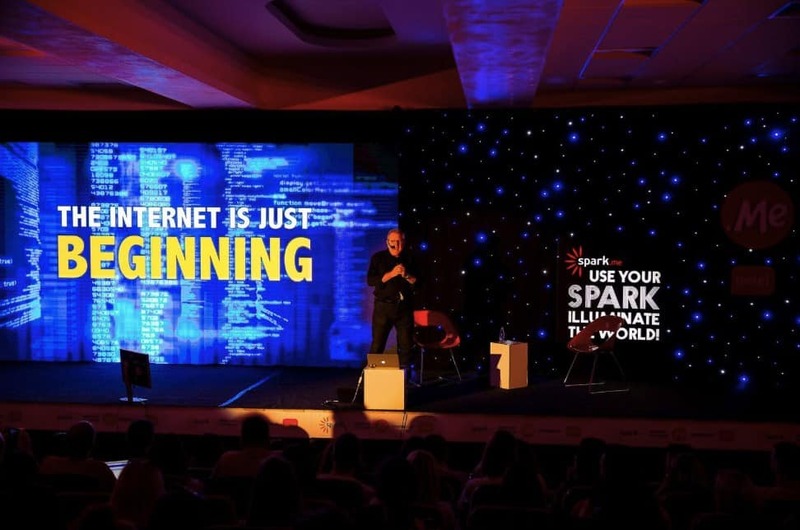 A story which conjures up just how much one big conference, organised by a small team in one of the smallest countries in the world – Montenegro, can teach you about digital marketing. More importantly – the one which can show you the power of a community in teaching you how to face your fears, surpass your obstacles and follow your dreams. Spark.me is one of the most carefully curated business/internet conferences in Southeast Europe. It has been organized annually since 2013, as a part of CSR program of Domain.ME, the company that operates Montenegrin national domain. The conference has come a long way throughout all these years: from being a meeting point for a couple of dozen tech enthusiasts and geeks to becoming a must-visit event which attracted 580 attendees from 28 countries last year. Spark.me 2019 is set for May 25-26, 2019 in Porto Montenegro in Tivat. Have you ever wondered what could you, an individual, have in common with a company? The answer is – a brand. Whether we like it or not, every one of us has a personal brand. As a term, personal branding can sound confusing, egocentric even, thinking of yourself as a brand. But it is the concept of personal branding, the idea that we all have a reputation that we must manage that matters, not the term per se. What does this actually mean? If we use this premise and transfer it to the online world, we can recognise the truthfulness of it. Everything we post online – on our social media accounts, blogs, or websites, becomes an integral part of our online identity. Our online identity equals our personal brand. How so? It is not uncommon for us to make conclusions about someone based on things they post on social media – admitting that is a hard part. That is why it is extremely important to think twice before posting something online, where it can be reached by anyone. The same can be applied to companies. When buying a product or a service, we want to know the values behind the brand, and we are choosing brands whose values are compatible with ours. Tine said that we should try to connect with people we share the same values with, instead of changing them to accommodate others. The art of humanization and personalization. The importance of brand values. The inevitability of proper communication and understanding potential consumers. All of those are terms digital marketers are already familiar with. The thing is, no matter how hard I thought I know them well, Spark.me conference is always there to make me think twice. 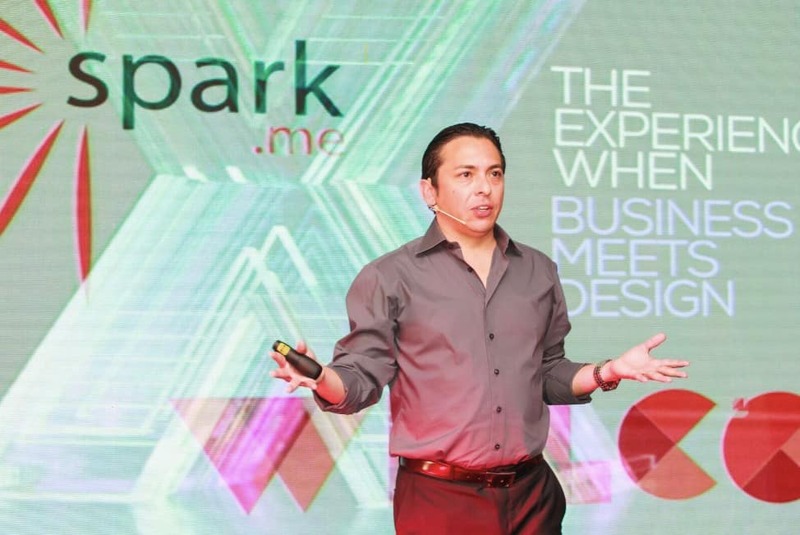 Brian Solis, one of the world’s most renowned marketing experts, analysts, and writers, made us all remember that brand, before anything else, means experience. It sounds confusing at first, but it’s actually quite logical. Brands use experience as a way of bringing life into the things we care about. The most recent example is Disney’s decision to create a photorealistic computer-animated remake of the famous “The Lion King” traditionally animated movie. Technology is just a tool for reaching the ultimate goal – reaching out to the people. If you ever had an unpleasant experience with some company, you probably will never buy their product/service again. In fact, you may go one step further – share your story with friends and family. Or even write a Facebook post about the unpleasant situation you experienced. The conclusion: Individual experiences are defining our relationship with companies. Is there some magical formula for creating an ideal relationship with customers? If yes, I know the man who probably derived it! 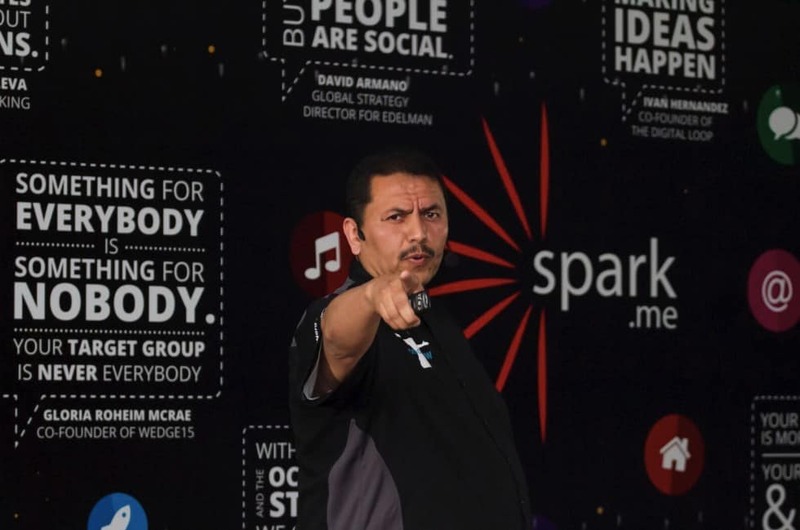 Ramon De Leon, Spark.me 2015 speaker, social media visionary who built a brand one conversation at a time, and former Marketing mind at Domino’s Pizza Chicago, delivered some valuable lessons on the brand-customer relationship. His secret lies in constant communication with people on social media channels. If you find yourself craving for a slice of Domino’s pizza at 2 a.m. and sharing the craving on Twitter, it is very possible you will get one delivered at your front door, free of charge. Someone could say that this is too much, but I would not agree. Every one of us want to see people behind companies we love, and if we say they are passionate about their company we become passionate about it as well. Moreover, when you experience such special treatment, the chances of you becoming the most loyal customer just went waaaay up! 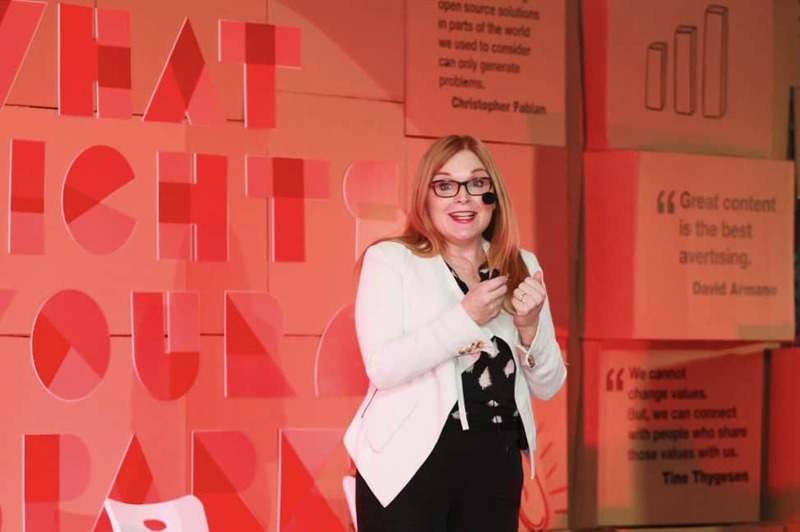 Each one of us have heard at least once that there are three key marketing steps: consumers’ awareness, (gaining) consumers’ trust, and (gaining) consumers’ loyalty. Mark W. Schaefer, Spark.me 2018 speaker, made us realize this is not true anymore. We witnessed technology changing consumers’ behaviour, especially when it comes to changes in content consumption. Besides that, people are leaning towards people, instead of towards brands (as they used to do before). Therefore, the key is focusing on the content created by people (influencers, satisfied customers…) for people, instead of the content created by companies. The technology begins to equate itself with human behaviour, which is a lesson I always remember when creating a campaign for a new product or service. The focus is not on the customers, but on people and their needs. Still, there are some things technology cannot influence. 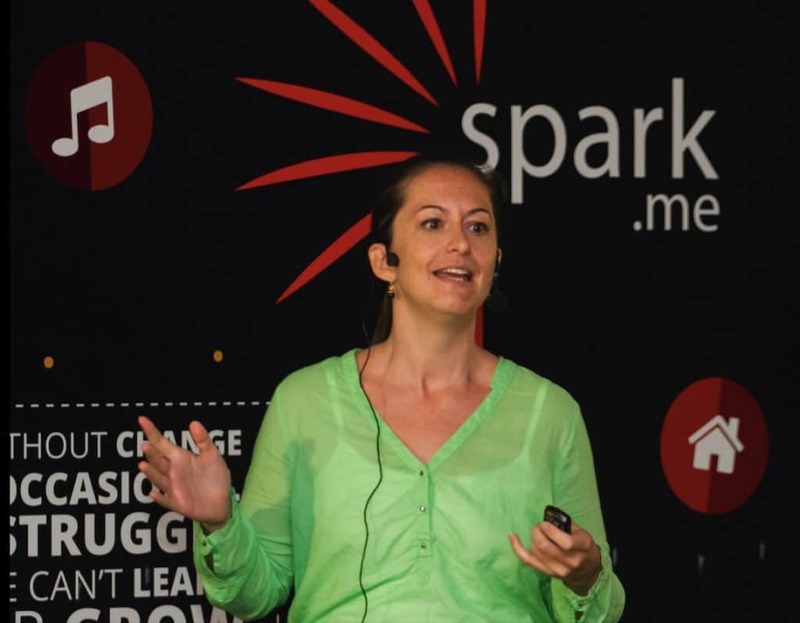 Spark.me talk I remember particularly well is the one delivered by Danica Kombol, the CEO of Everywhere marketing agency. She talked about the concept of storytelling, explaining how influencers can help brand development. She said that people have been telling stories since ancient times. The only difference now is that we tell them on social media. The impact of our stories became larger – they can travel much further than before. Our posts and stories are seen by our friends and family, but it goes further than that. Everyone has a few “imaginary” friends, people we do not know outside the online world. If you wonder about their importance for a company, Danica has an answer. Around 92 percent of consumers believe in recommendations from people they never met! This fact perfectly reflects the impact of social media – both on consumers and companies. It also serves as a lesson to all the people believing social media marketing is a piece of cake. In order to become a social media marketing mastermind, you have to know psychology, sociology, marketing, new trends, and analytics. Furthermore, you have to know how to interpret the results, so you can make proper conclusions and adapt your marketing strategy. Easy? I do not think so. Achievable? With a large amount of work and dedication – sure! Apart from the awesome speakers from different areas of expertise, Spark.me is a conference which offers an opportunity of becoming a part of the great community. Want to meet new people, have a chat with some of the speakers, or pitch your startup idea? Go ahead! You will be blown away with Spark.me’s friendly atmosphere and contagious energy emitted by people from all around the world. Do not panic – there is a place even for the biggest of introverts (trust me, because I have found mine). And before you even think that all of this was just a plain talk, ask around. Everyone who attended Spark.me conference will tell you the same: Spark.me probably is not the best conference out there, but it surely is the most caring one! And that is something one cannot imagine, you have to feel it. So, my advice: Try it! The tickets for the conference are already on sale. For more details, check out Spark.me official website: www.spark.me.